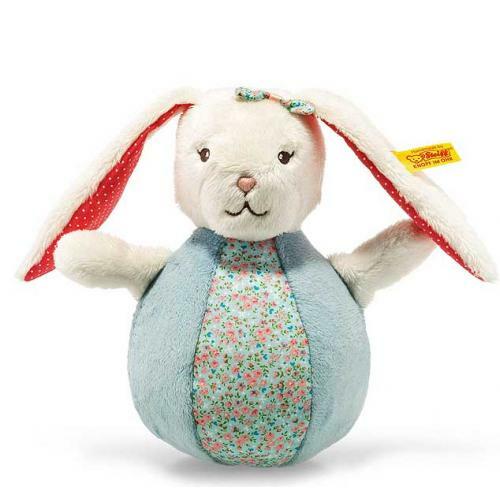 Steiff Blossom Babies Rabbit Roly - Poly Toy, made of beautiful soft multicoloured plush for a baby's delicate skin. This Rabbit from Blossom Babies rights himself up whenever he's knocked over and Jingles happily all the time. 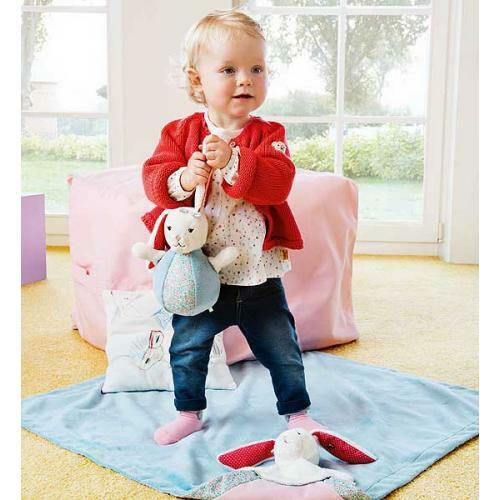 This encourages baby to play and develops baby's hearing at the same time. Baby can pull all they want on the long ears and paws. 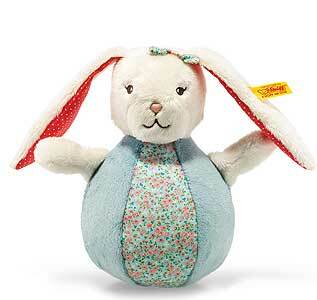 Blossom rabbit is an all-round toy which children will have fun with for a long time. A cuddly soft companion in all situations in life.